Baja California was always one of my biggest dreams. I know I maybe have hundreds of ”smaller” dreams, mostly those travel ones, but visiting Baja California, especially Los Cabos was one of those on top. My first time in Mexico I was not able to visit it as I decided to take land transportation all over for 3 months and left Los Cabos for my next visit. In May 2013 I could finally plan a few days in Baja California. 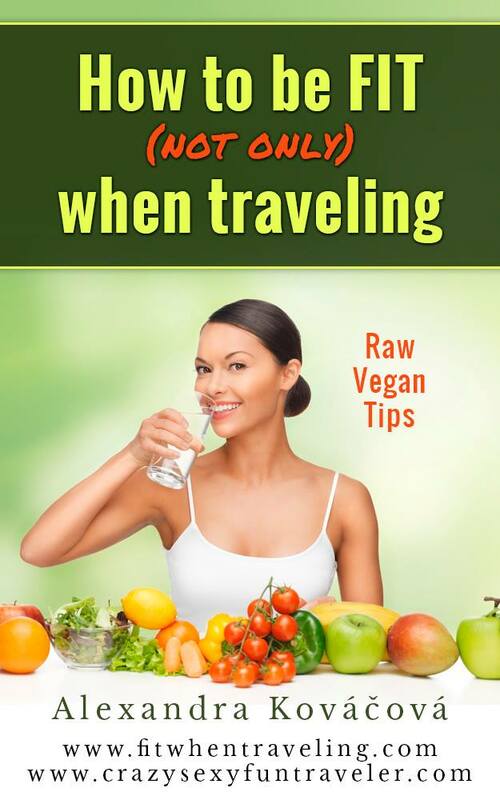 I admit that many travelers/tourists can have problems when planning their visit to Baja California. And when I say problems I mean to choose the best places. I could bet that 99% of people only heard of Los Cabos and have no idea about the rest of the peninsula. 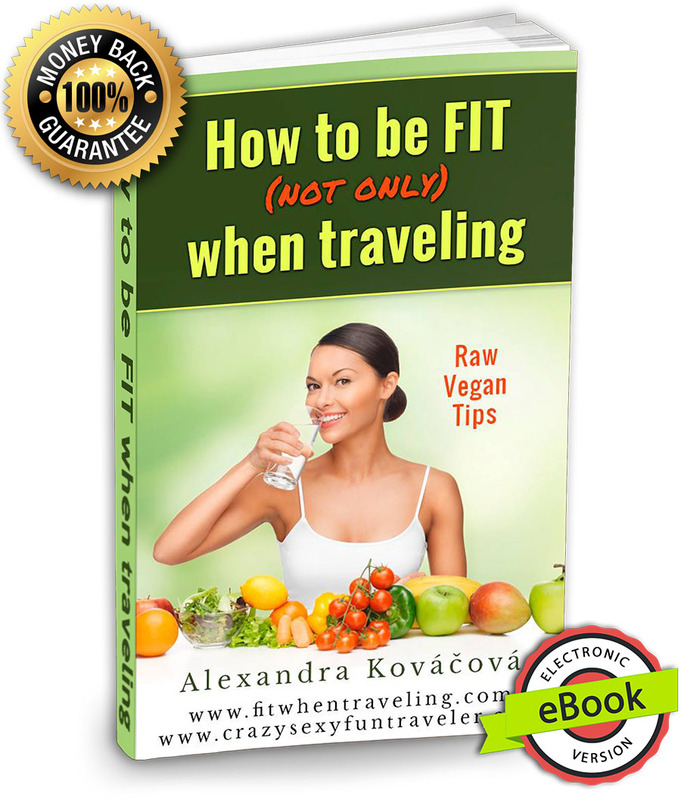 I was one of them until a couple of months before my trip. I found out so many other hidden gems that should not be missed. First of all, you need to realize that the peninsula South of the US California is divided into Baja California and Baja California Sur. It’s 2 different Mexican states with separate capitals (Mexicali and La Paz). I spent 3 weeks in the Baja California Sur – the Southern one and even those were not enough. Second, Los Cabos is the name of 2 towns, Cabo San Lucas and San Jose del Cabo. If you use just Cabo name, it means Cabo San Lucas. Don’t confuse it. Third, the Arch is NOT the only thing to see in Baja California Sur. First recorded European to have entered the bay was the navigator of Hernan Cortes, Francisco de Ulloa in 1537. Also known as just Cabo is a touristy place located on the tip of the Baja California peninsula. Offers entertainment for every age, even for those non-drinkers like me. 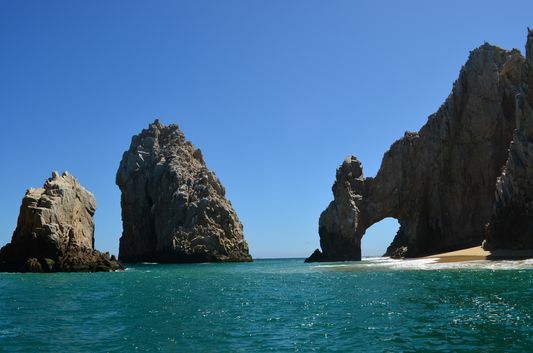 The destination became famous because here the Sea of Cortez (also called the Gulf of California) meets the Pacific Ocean at the beautiful rock formations nowadays known world-wise as the Arch – Los Arcos. An impressive marina (port) just a few minutes walking from Medano Beach is home to restaurants and bars and it’s also where I stayed at Marina Fiesta resort myself. The sunsets over the marina are the best thing ever! Cabo San Lucas remained a small fishing town with around 400 inhabitants only until 1930’s when sprotfishing enthusiasts began to arrive. 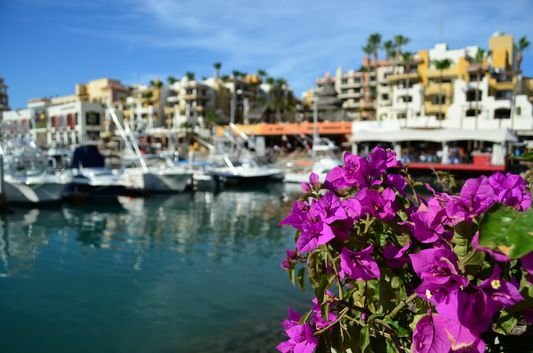 The peninsular highway in 1974 made Cabo more accessible but it was only the marina, international airport and golf courses that put Cabo on the map later. Nowadays Cabo San Lucas is the destination number 1 on Baja California Sur and together with Cancun sometimes UNFORTUNATELY also the only 2 Mexican destinations many international tourists know of. If you are looking for adventure, Cabo San Lucas is your destination – from swimming with dolphins, zip line in Wild Canyon, more relaxing camel riding, boat trips or snorkeling, you can find it all here. Tourist Corridor (Corredor Turistico in Spanish) is a 30 km Transpeninsular Highway connecting the 2 towns of Cabo San Lucas with San Jose del Cabo. Full of beautiful Gulf of California sand beaches, bays great for snorkeling (e.g. Chileno Bay when I snorkeled but also heard from many that Santa Maria is another marvelous spot), cliffs, hotels and resorts and golf courses. 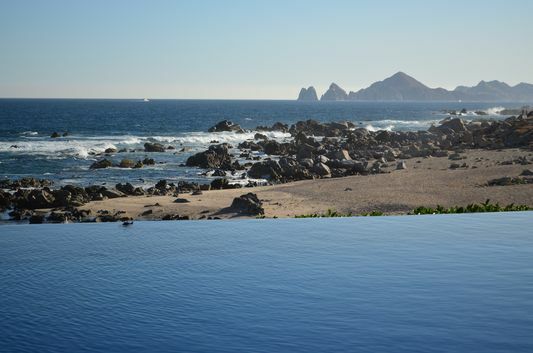 I stayed at Hacienda Encantada on a cliff with unforgettable views where you cannot swim in the sea because of the rocks and strong currents but the infinity pools made up for it. The Corridor really offers you different kind of hotels and also beaches for all tastes, from rocky beaches, through sand beaches for romantic walks or beaches for surfers. San Jose, or the Siesta Town as the locals denominate it, is comparing to Fiesta Town of Cabo San Lucas more of a traditional Mexican town. Colorful buildings, cobblestone streets, main plaza – zocalo with a typical quiosco and church. The town was established in the Pericu settlement of Añuiti (the native inhabitants in the area) as a mission by Father Nicola Tamaral in 1730. Nowadays the town has a fresh water estuary which is home to more than 100 species of birds. And for the tourists who prefer to stay at the beach directly instead of the city centre, the tourist zone is at the malecon (seafront, esplanade) with many hotels right on the beach. It is also where I spent 3 days enjoying all inclusive and romantic pinky sunsets at Posada Real. Situated on the Pacific Ocean just 50 miles North from Cabo San Lucas is an oasis in the desert where artists meet and definitely should be one of the top places to visit in Baja California Sur. Home to the famous Hotel California where I also laid my head (probably the inspiration for the world-known Eagles song) became one of 55 Magic Towns in Mexico in 2006. Pueblo Magico according to the Mexican Ministry of Tourism offers its visitors a magical experience and trust me, everything is very magical in Todos Santos which makes it interesting not only for surfers from around the world. 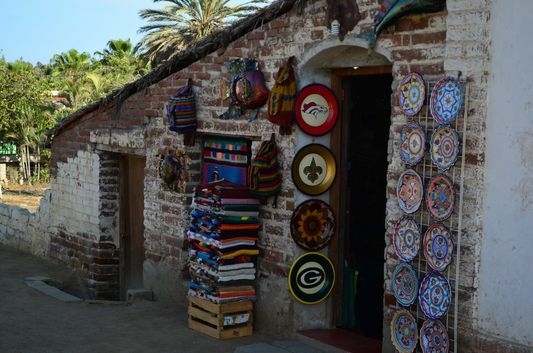 As Todos Santos is located on the Pacific Ocean side, the breeze makes the climate cooler than in Los Cabos and you might even need a jacket here for both the day and the night. The history of this town began with Matancita Man, the area’s earliest recorded human life 3,000 years ago who died at his 75 years. 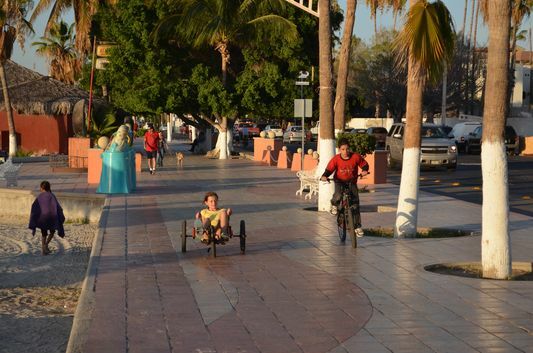 Despite the early settlements, the town has grown as a tourist destination only since the highway from Cabo San Lucas in 1984. 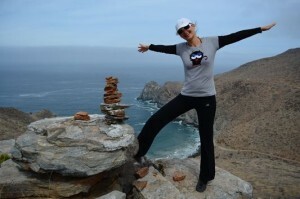 Cliff walk is one of the interesting things to do in Todos Santos. The capital of Baja California Sur is surprisingly less known than Los Cabos. Founded by Hernan Cortes as Santa Cruz port in 1535, this authentic Mexican city still maintains its small town feel in spite of being the biggest city in Baja California Sur with population of around quarter of a million. Rated as one of the safest in Mexico, La Paz together with the rest of Baja California Sur offers great beaches, snorkeling with sea lions at the jaw-dropping Isla Espiritu Santo (yay, another travel dream fulfilled!) or whale sharks (next time I gotta check the season), other different tours, great food to the city’s famous malecon which makes it the only town in Baja California Sur with a boardwalk. Check out 6 things to do in La Paz. ”La Paz is surrounded by mountains of volcanic origin with cactus but not much of other vegetation. And the soil containing saltpeter is warmer than the soil in Los Cabos which also makes it a bit different to other parts of Baja California Sur” explained me my personal Transcabo driver Pedro. And La Paz is truly different not only because of its soil. It also surprised me personally. Many expats who chose La Paz as their new home and great quality restaurants offering fish and other seafood, Italian dishes or traditional Mexican cuisine were the first reason of my big surprise, but then also many people exercising, jogging, inline skating and cycling along the boardwalk early morning or at sunset time shocked me in a super positive way. I guess it must have been the expats who brought the stay fit tradition into the town or the natives realized they should use the boardwalk for a good reason. It also looks cool, right? I stayed at two different places in La Paz. First at El Angel Azul which was a very quiet B&B with a private garden a minute walking from the main square, and then my last days at Seven Crown hotel situated at the malecon with the sea views. Honestly, I am very glad I changed my mind and instead of just relaxing for 3 weeks in Los Cabos in one hotel, I chose to visit different spots around the Southern part of the peninsula. I haven’t visited ”the old Cabo”, East Cape. 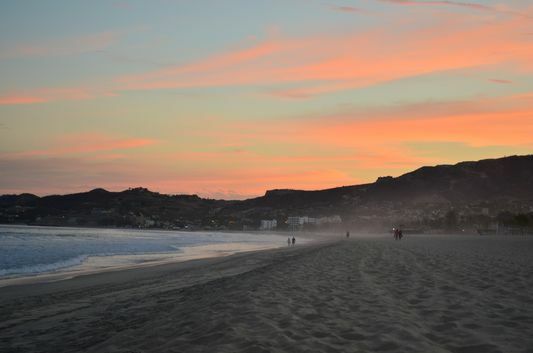 Small fishing towns, scuba diving, pristine beach and less tourists its what makes Cabo del Este famous. This place still remains on my bucket list. So does Loreto, another beautiful destination in the state. But if you get a chance to spend more time in Baja California Sur, do divide your time into more spots – Cabo San Lucas is for fiesta, San Jose del Cabo for relax, the Corridor in between for different activities, walkable and quiet Todos Santos town to get a magical feeling surrounded by arts and handicrafts, and La Paz for the cleanest turquoise water beaches, snorkeling with sea lions and whales and the traditional Mexican experience. Because ”Baja California has it all” as my driver friend Pedro stated. All of those places are really something else, that’s really something else, and to drive across the Baja coast is one of the best roads in the country, of course using car insurance from BestMex, to assure that your travel is completely safe. Baja coast is really beautiful! if you had to pick three of the five for someone without a car, which would they be? If you have some extra time I would recommend going to Baja California Norte and visiting Ensenada!! Its a great city! !